Bad days are a thing. They just happen. But, you can choose to make it the best day. 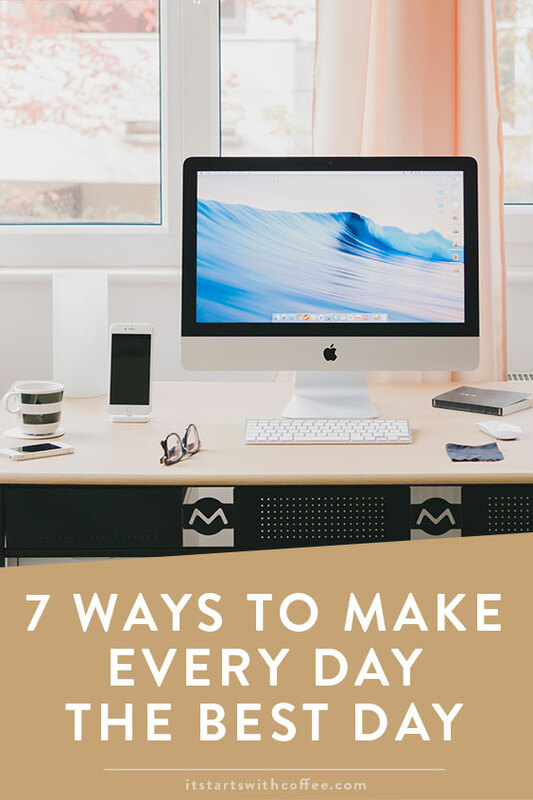 So I am sharing the 7 ways to make every day the best day! Don’t let the bad moods win! Start the day with gratitude: I have heard people time and time talk about saying 3 things you are grateful for that day to start your day and I love this idea. I find that it really does wonders with how I start my day. It instantly lifts my mood and gets me ready to tackle life. Put the negative thoughts out of your head: If a negative thought about yourself or a situation comes into your head, accept it and release it. The more you acknowledge this negative thought the easier it will be to get rid of it. Do a little yoga or meditation: I started using Headspace in January daily and it has been a complete game changer for me. 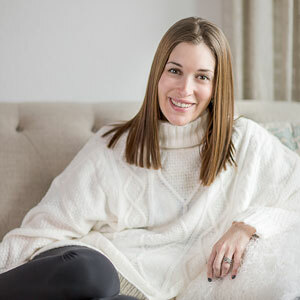 I also love Sarah Beth yoga on YouTube for 10-30 minute yoga sessions. I feel like that dedicated time to focus on something really calms my anxiety. Read something funny: A funny article or blog post is always a good way to make your day better. I keep a bunch bookmarked that I find throughout the week so if I need one I can find one quick! Make a positive impact: Spread the word about a good cause, volunteer, recycle. Just something good for the world! Pay it forward in some way: Get the person behind you in line at Starbucks their coffee, even hold the door open, or help a mom that looks like her hands are full with her groceries! Go to bed grateful: Just like you started the day with things you are grateful for remind yourself before bed of all the things in your life you are grateful for! Text your parents and tell them you love them, kiss your significant other, don’t go to bed angry! What do you do to make every day the best day? Love this!! It’s a choice we can make, everyday!!! Super post. Thank you! The Unfinished Story. I try to do at least one thing that makes me happy. Sometimes it is laundry ( I love it! ), other times it is working on a project…it just depends on the day and my mood. I love the idea of starting each day with gratitude! I also started using Headspace awhile ago, but have not been using it as much as I should. Need to get back on that wagon! I love this post. I honestly love trying to find ways to smile, I find that waking up and forcing myself to smile at my kids (who btw are 15, 11 and 9 and STILL wake me up by running into my bedroom for a hug 😉 ) — it totally starts my day off right. That moment helps to bring me back to a moment of happiness when bad moments hit. Yes I agree! Remembering to be grateful every day is SO important! I love this ! Really useful and uplifting reminders ! Going to bed with a positive mindset definitely helps me. Start the day with gratitude. I love that. ‘This list is Perfet.